We had organized Rangoli Competition on 14th August on the occasion of Foundation Day of Xento. Since foundation day and independence day were adjacent, organizing team kept the theme of Independence Day for the competition . All teams nominated 5 members to participate in the Rangoli Competition. As per the theme, participants prepared various rangolis in tricolour and they also used other theme like “Save Girl Child” very creatively. 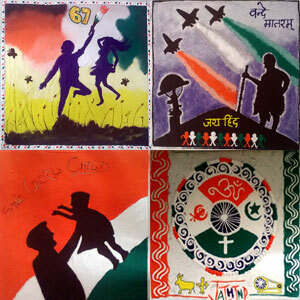 Judges selected Rangoli from “Team Integration” as a winner. Client Admin Team was the runner-up for this competition.